Okay, so I have been tagged by good friend Kadambari (yep that's her full name) to do something that I wanted to do but could not find the time to do, thanks to her for that (seriously). So there is a book that Great Bong is writing (has written already actually, it's due out in March 2010) which I am definitely going to read. The details of the book are here, go have a look. What you need to do once you are tagged is outlined here. To sum up, I need to share my ten most favourite lines from Hindi (or English) movies, and then let Great Bong know so that he can have a look - pretty simple. Oh yes, at the end you also have to tag five friends to do the same. So here goes... (disclaimer - in most of the ones that I liked, you have to see/hear the dialogue to understand why I like it. Reading it will definitely not have the same impact). 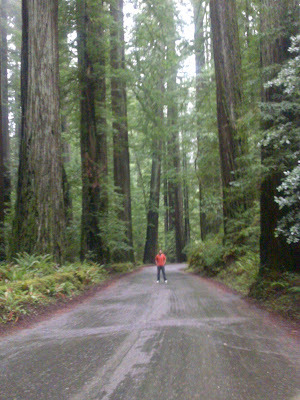 We (me and wife) made a trip to the Redwood forests in North California a week ago. The majesty of the trees has to be seen to be believed. Luckily, we got a chance to click this 'middle of the road' pic...let me add that it was pretty cold and I was shivering as hell. 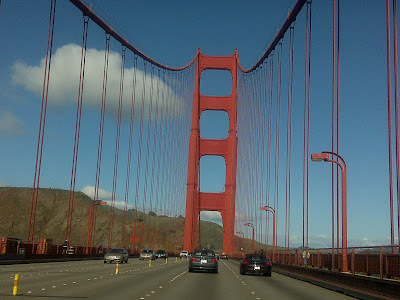 It was great to drive (actually I sat on the seat next to the driver :D) on the Golden Gate bridge. Saw a lot of people cycling on it and later learned that it's a very popular activity, will do that for sure sometime. 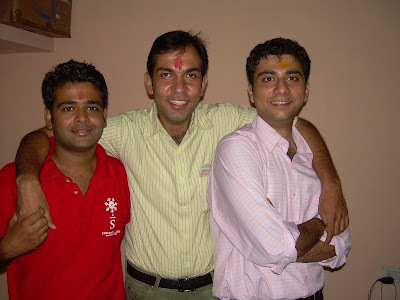 A blast from the past (Diwali 2006 to be exact).